When it comes to helmets, one of the most primary key functions of any helmet is to provide the rider with the required protection from head injuries, including and not limited to concussion. And the Leatt GPX 4.5 does just that and much more. When it comes to sports bikes, you’ll find that the helmet ranks right at the top when it comes to purchasing the required protection. This is why you need to do some grunt work, determine which helmet is perfect for you and then size your head before making the purchase so that you get one in the right size. Check price here. 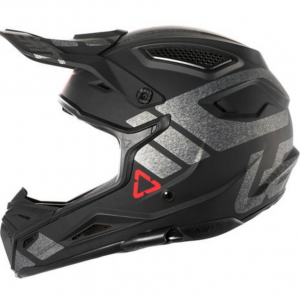 But as far as protection goes, the Leatt GPX 4.5 ranks right at the top. Read on to learn more about why this helmet is indeed as good as it gets. The Leatt GPX 4.5 is comprised of a sturdy shell, made from injected polymer compound which provides it with the resilience to withstand hard knocks. Moreover, it comes packed with 360 degree turbine technology which safely encompasses your head during collision. 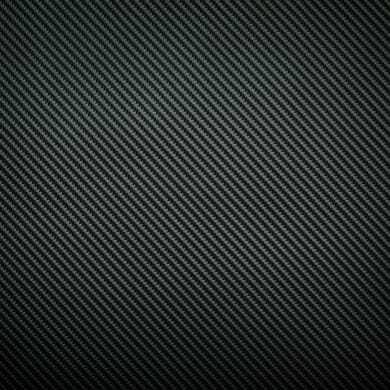 This patented technology provides you with an additional layer of protection. 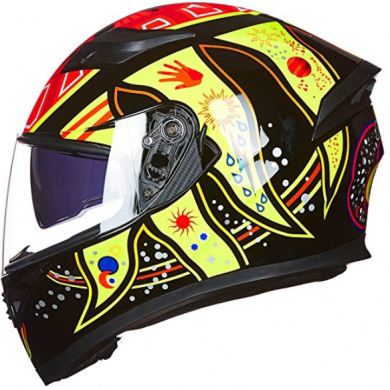 It is made from unique turbines which in turn are composed of armored armour gel, thereby enabling the helmet to cushion your head from any sudden impact. This tech lessens the rotational acceleration to your brain by as much as 30% and goes a long way to prevent concussion related injuries. Moreover, the armour gel enables the helmet to absorb energy in case of a collision which in turn provides you with more protection. The helmet is smaller in size than most helmets, thereby providing for a snug fit. And it has been custom engineered to reduce rotational acceleration on your head and the smaller outer hull enables it to do just that. Apart from this, the helmet comes with multi-density high impact foam, which is then molded to the inner lining of the hull, enabling the helmet to safely ensconce your head, lending it with more protection from impacts and collision. Here are some of the key features of the Leatt GP X 4.5 that make it a good buy. The helmet comprises of an injected polymer compound shell which provides you with better protection than most other helmets. Moreover, the polymer compound comes molded with impact foam which serves to better protect your head from concussion related injuries. This tech serves to reduce rotational acceleration of your head by as much as 40%. Moreover with armour gel in place, turbine tech provides you with better protection from sudden impacts and collision when riding on the road. The outer shell of the helmet is lined with high density impact foam which serves to absorb sudden shocks and impacts, and helps to better protect your head and even results in a 30% drop in concussion related injuries as a result of bike accidents. With a reduced outer shell size, there is a 10% drop in rotational acceleration related injuries to the head and neck area. The smaller shell size and the inner padding together offer a more comfortable fit. This makes sure that the helmet stays fixed even through longer roads and difficult rides. With high density foam and a custom built outer shell, there is a reduction in G forces being transferred to the head and more specifically to the brain. 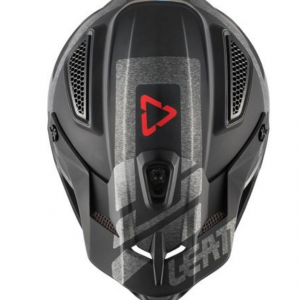 So in case of an impact or a collision the Leatt GPX 4.5 will serve to better protect your head than most other helmets. When it comes to helmets, it is essential to prevent overheating and the Leatt GPX 4.5 is no different. It comes with Dri-lex moisture wicking which absorbs moisture and sweat and comes with an anti-odor, washable inner lining. 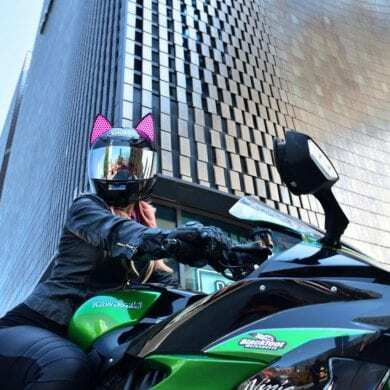 The helmet comes with various vents which facilitates better ventilation and is designed to prevent the rider from overheating. The Leatt GPX 4.5 comes with ECE 2205/DOT certification and is manufactured with stringent quality control checks in place. Comes with advanced safety features. From its patented turbine technology to its high density impact foam, this helmet is as good as it gets when it comes to preventing concussion during collisions. Well ventilated. The helmet comes with various vents along with removable chin guard and a breakaway visor. So ventilation is not an issue where the Leatt GPX 4.5 is concerned. No more overheating. One of the issues when it comes to helmets is the overheating, but thankfully with various vents and dry moisture wicking in place, you can wear this helmet in total comfort without having to worry needlessly about overheating. Slightly pricier, but the added protection more than makes up for this. The cheek pads could have been better designed; since the helmet provides for a snug fit it needs to be adjusted constantly. 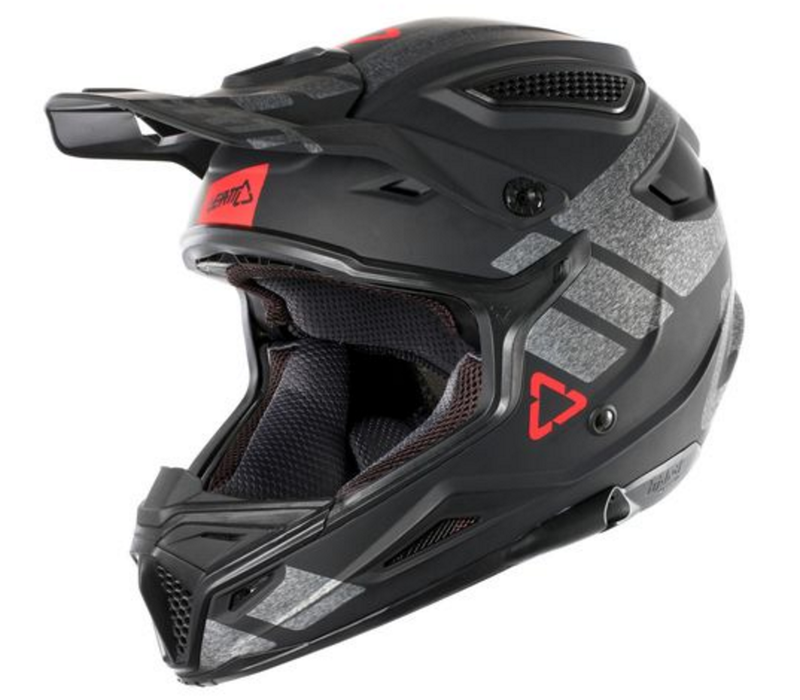 Buy it for its ventilation and the fact that it’s one of the softest yet sturdiest helmets that you could buy. 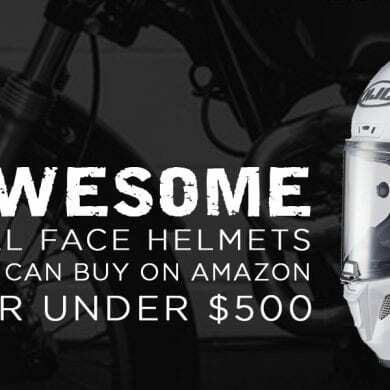 It’s lightweight, durable and resilient and can withstand any impact when you are on the road, and if you are looking to buy a durable helmet, this should feature right at the top of your list.